I made a bunch of new zipper pouches and tea cosies for HandMade Market and I just updated my shop with the few that I brought home. 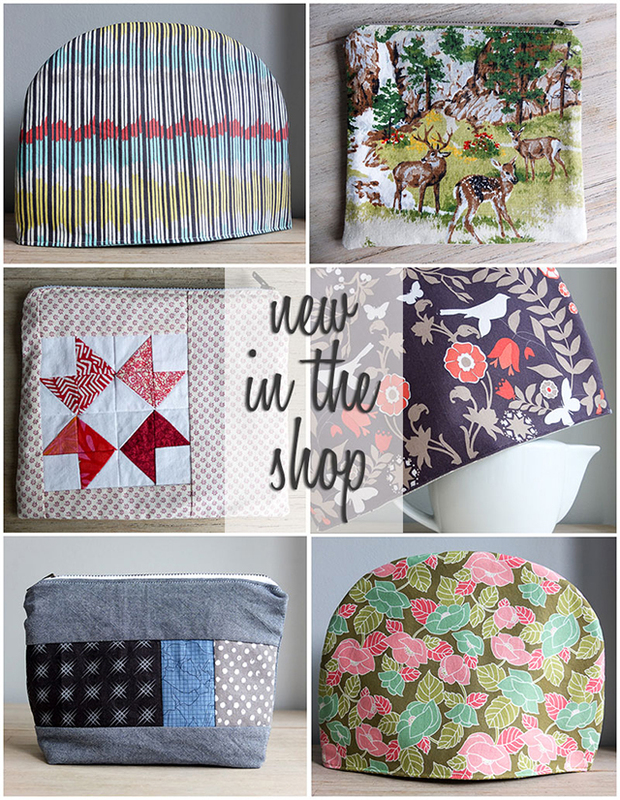 I've experimented with some patchwork design and even vintage fabrics. Have a look and let me know what you think! If you follow me on Instagram, you may have noticed a sudden influx of selfies over the last month, as well as strange terms like "me made" and #mmmay15. You may have wondered what this was all about. "is a challenge designed to encourage people who sew/knit/crochet/refashion/upcycle garments for themselves to actually wear and love them... The participants decide the specifics of their own challenge pledge, so that the month is appropriate and challenging for them." After intentionally building my handmade wardrobe for the last year, I was excited to be able to participate for the first time. I still don't have enough items to do an everyday pledge, but I could still play along. 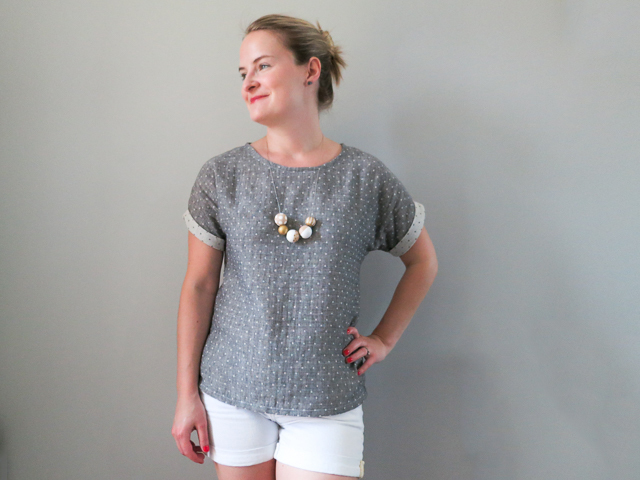 I vowed to wear three me-made items a week and sew three new pieces. You can check out my Instagram to see the 12 outfits I wore. As for the new things that I made, keeping reading. With the exception of my Wiksten tank that no longer fits and some pajama pants that I never wear, my entire handmade wardrobe consists of dresses. This is a problem. So I was determined to use Me Made May to sew some separates. First up was a boxy tee. 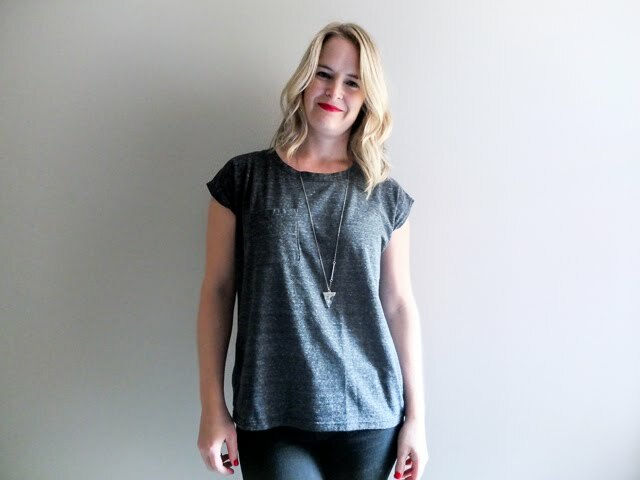 I've been really into loose-fitting tops lately and they seem like something fairly simple to whip up once you have a good pattern. So, I proceeded to draft my own pattern. Haha! 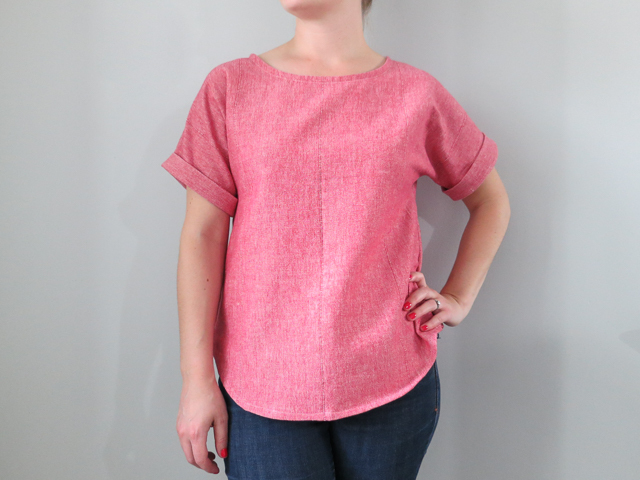 I'd been saving my special polka-dot double gauze for a top just like this, and there was no way I was screwing up that fabric for a self-drafted pattern, so I made a tester out of some thrifted red chambray curtains that I have heaps of. And miracle of miracles, it fit right off the bat. Yes! I ran into some issues with the double gauze, though. Sewing bloggers rave about this stuff and how it's so easy to work with, but I would disagree. It's delicate but bulky at the same time somehow, it's stretchy, it frays like crazy and it doesn't crease well when pressed. Sewing the bias binding on the neck was a challenge, to say the least, and the hem wasn't pleasant to sew either. That being said, it's so delicate and soft, it's a dream to wear. In fact, I wore it three days in a row after I made it. So maybe I just need to get used to this double gauze business. Next was a pleated button-down midi skirt. 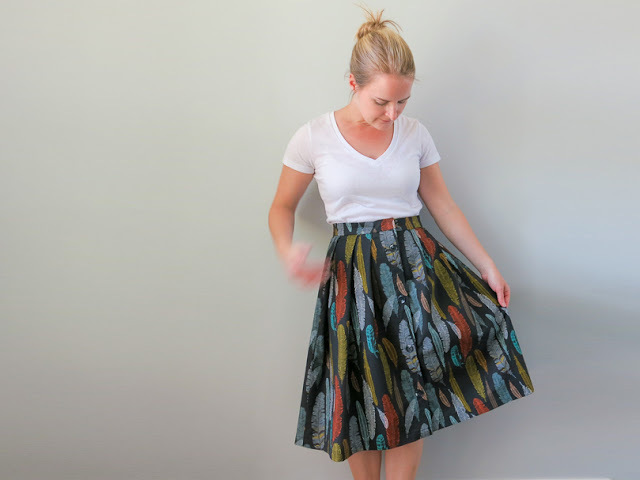 I found this beautiful feather fabric at Needlework and immediately pictured this skirt. Isn't it funny how fabric can communicate like that? It's probably my favourite part of the sewing/design process. Anyhow, I followed the pleated skirt tutorial on Sew DIY, which was pretty straighforward. 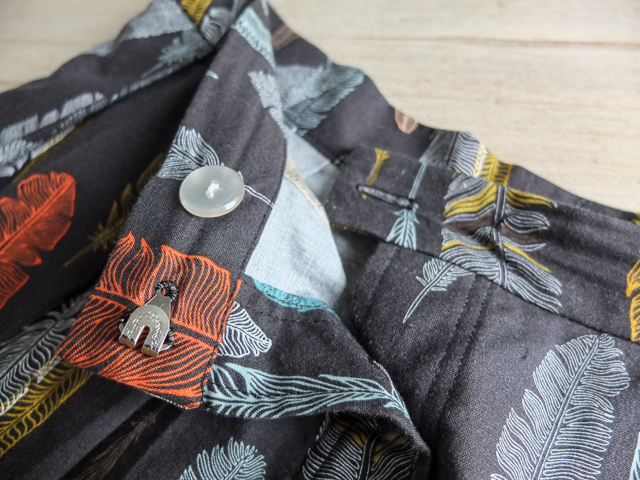 But you do have to make some tweaks depending on the fabric you choose. Since this is a weightier cotton, I played around with the pleats for ages, trying to achieve the most flattering volume. I also decided to keep the selvedge in there, and it makes me so happy whenever I see it that I think I should purposely include it in more garments. 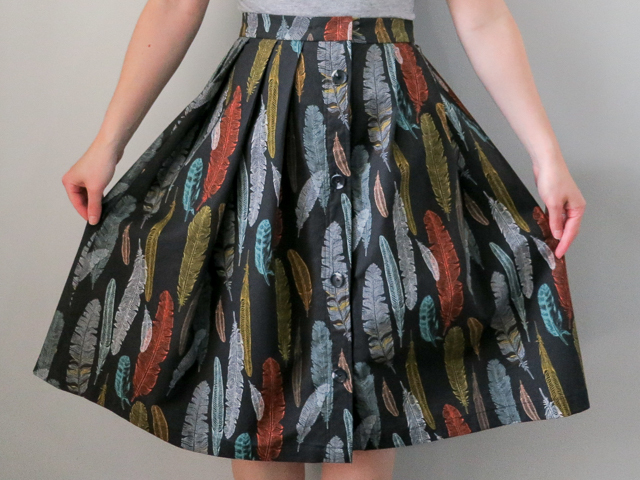 I absolutely love the skirt and can see myself making many more versions! 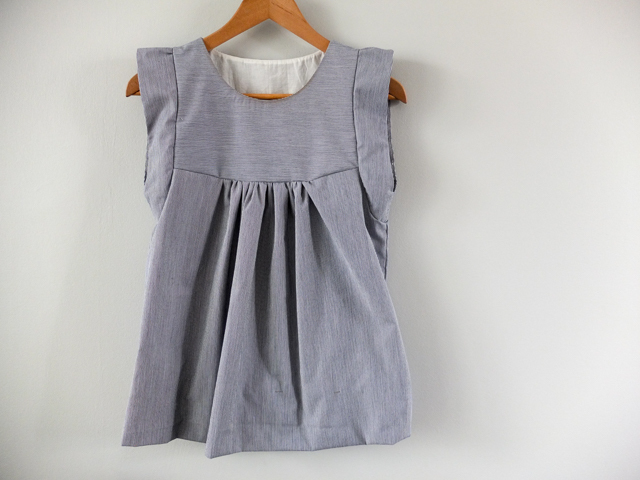 Finally, there was the Alice Top. Poor Alice. 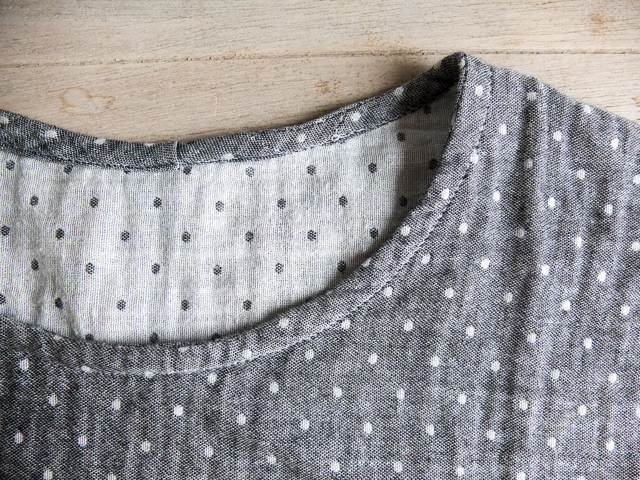 I tried my best to squeeze this third garment in by the end of the month, but unfortunately I can't wear it... ever. The neck was too tight; so tight that it wiped my makeup off my face! I also couldn't get the arm bands to ease in no matter how hard I tried. 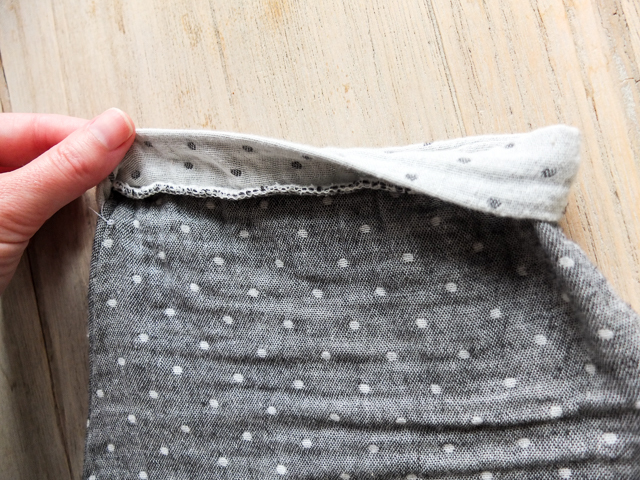 I know now that I chose the wrong fabric for this style; it needs to be much much lighter. Something like voile or, ahem, double gauze. I may also need to cut a size bigger. But, other than that, I'm at a loss as to what went wrong and at an even greater loss as to how to fix it. So, I hung it on a hanger, took a photo, and called it a fail. It's OK. We all have them. It's part of the game. Despite the disappointing finale, I think I can conclude that Me Made May was a resounding success! Not only did I meet my challenge goals, but the inspiration and motivation I gained from the steady stream of handmade in my feed all month long was immeasurable. 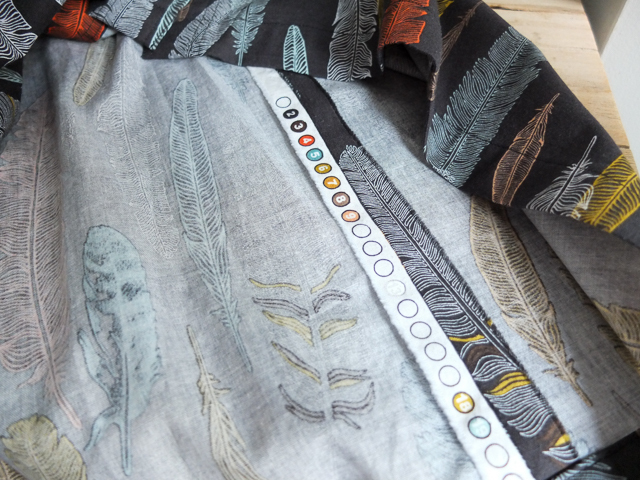 I found some great patterns to try, fabrics to search out and blogs to follow. It'll be a busy summer. 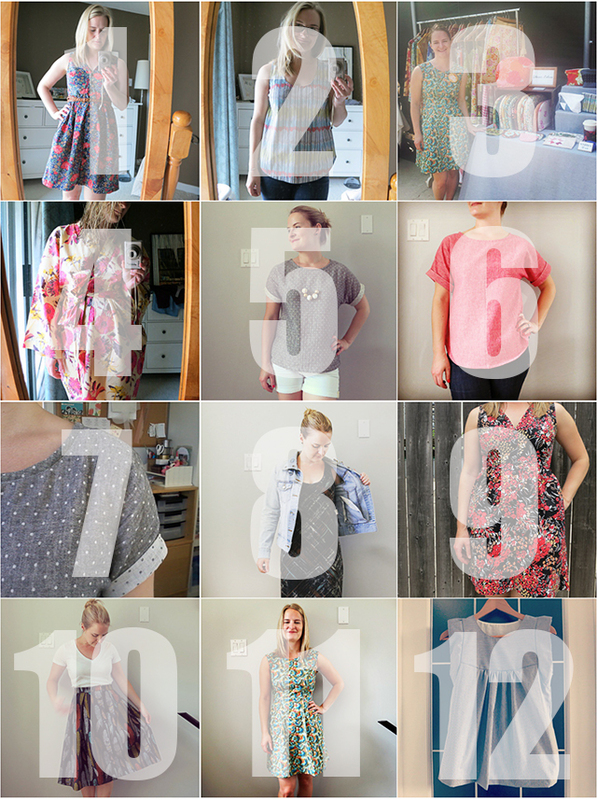 Maybe by this time next year I'll have 30 outfits to share! All I can do is try.